Amazon.com Inc. uses its marketing mix as a powerful approach to attract consumers to its e-commerce website. A company’s marketing mix or 4Ps (Product, Place, Promotion and Price) is the combination of strategies and tactics used to implement a marketing plan. In this regard, Amazon reaches out to its target online market through its marketing mix, which focuses on the place and price components as major selling points. As the biggest e-commerce organization in the world, Amazon continually faces increasing competition, which can reduce the company’s market share and global growth potential. To address this issue, the company must ensure that its marketing mix is up-to-date relative to market trends. Through a suitable marketing mix, the company enables organizational resilience while supporting innovation for long-term competitiveness of its online retail business. Amazon’s marketing mix (4Ps) is designed to take advantage of the online nature of the company’s e-commerce operations. The components of this marketing mix enable competitiveness and international growth while Amazon.com Inc. innovates its services. Amazon is primarily an online retail business. As such, its main product is retail service. The company provides such service through its e-commerce website. Some of the retail goods available on the website are also the company’s, such as those sold under the AmazonBasics brand. In addition, the firm offers Amazon Prime, which is a membership product that includes shipping service for purchases on Amazon’s online retail website. The company has also expanded its product mix to include consumer electronics like the Amazon Kindle e-book reader and the Kindle Fire tablet. Such expansion led to an improvement of the effectiveness of the company’s marketing mix in getting a bigger share of the e-commerce market. Further broadening of the firm’s product mix involved the distribution of digital content, including music and e-books. Amazon Video is an on-demand video streaming service offered to customers in some locations in the United States, Europe and Japan. On the other hand, Amazon Web Services (AWS) is a set of online services, including cloud storage. 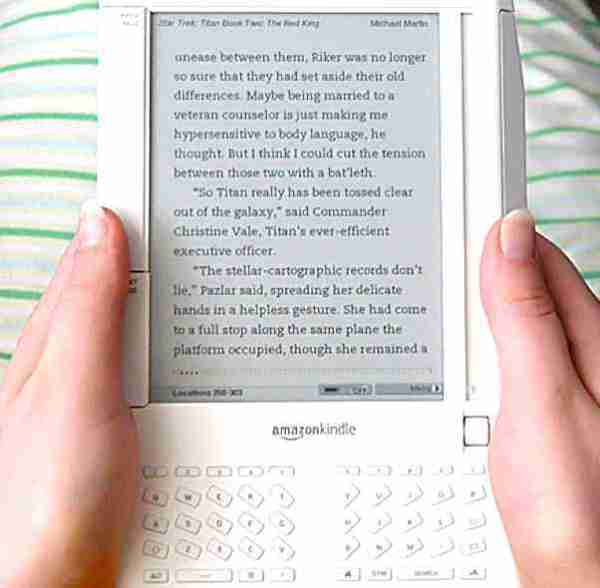 Amazon Publishing offers book-publishing service using a number of imprints. Moreover, AmazonFresh and Amazon Prime Pantry are the company’s services for orders and delivery of grocery items. Furthermore, the company has integrated additional technology in the purchasing process. For example, Amazon Dash involves a device that enables customers to purchase household items by simply clicking a button that connects to the Internet. Video Direct enables sale or ad-supported free viewing of user-generated videos. These product lines indicate the company’s efforts in continually broadening its product mix. Amazon.com Inc.’s marketing mix increases in effectiveness as more products are added to these e-commerce offerings. Amazon uses its official e-commerce websites as its primary places for transacting with customers. These websites include Amazon.com, Audible.com (a subsidiary), and a number of other sites with specific target markets. In addition, the company operates a physical bookstore named Amazon Books in Seattle. This location enables the company to reach out to customers who want to physically evaluate products before purchase. Moreover, the firm uses other venues to temporarily transact with customers. For example, the annual Amazon Web Services (AWS) Summit held in various locations enable the company to reach potential customers and persuade them to pay for its e-commerce services. In this regard, Amazon’s marketing mix significantly relies on the strong online presence of the organization in reaching its target customers. Advertising functions as the primary means for Amazon to communicate with its target market. For example, the company has an affiliate program for website owners or online publishers to earn revenues by displaying advertisements and corresponding links to products sold on the Amazon.com website. This strategy widens the company’s market reach. Also, Amazon.com Inc. applies sales promotion as a secondary strategy to attract customers and persuade them to purchase goods and services on the website. For example, the company occasionally uses discounts and special offers to generate more sales. On the other hand, the firm strengthens its brand image through public relations programs, such as Amazon Smile, which donates a percentage of sales to charitable organizations. These programs enhance consumer perception about the corporation [Read: Amazon’s Stakeholders & Corporate Social Responsibility Strategy]. Moreover, in using direct marketing, the company directly communicates with businesses to offer its online services, such as publishing and digital content distribution. In this component of Amazon.com Inc.’s marketing mix, advertising is the main determinant of the organization’s marketing communication effectiveness. Amazon uses market-oriented pricing as its primary pricing strategy. For example, the company evaluates competitors’ prices as basis for pricing AmazonBasics products. The advantage of this pricing strategy is that it makes selling prices more competitive, affordable and attractive to target consumers. On the other hand, the price discrimination strategy involves setting different prices for the same product. Amazon applies this pricing strategy through its different websites. For instance, the company’s prices for the same products are different between the United States and the United Kingdom, which has its own Amazon website (amazon.co.uk). This strategy is advantageous because it enables the company to adjust its prices based on national market conditions, perceived value of products, and consumer preferences and expectations. In relation, Amazon.com Inc. uses the value-based pricing strategy, which involves price levels based on product value, considering consumers’ perception of value. Thus, the company’s marketing mix reflects flexibility in adjusting to current market prices. Huang, R., & Sarigöllü, E. (2014). How brand awareness relates to market outcome, brand equity, and the marketing mix. In Fashion Branding and Consumer Behaviors (pp. 113-132). Springer New York. Sinapuelas, I. C. S., Wang, H. M. D., & Bohlmann, J. D. (2015). The interplay of innovation, brand, and marketing mix variables in line extensions. Journal of the Academy of Marketing Science, 43(5), 558-573.